Recognize your outstanding colleagues and their work by submitting nominations for the AAP Awards to be presented at ISPRM 2020, the joint AAP Annual Meeting and ISPRM World Congress in Orlando, Florida. For more information, please view the award criteria and descriptions and past award winners. A support letter than includes your name, the nominee's name and the title of the award should be included. Nominations for the McLean Outstanding Resident/Fellow award must also include a letter of recommendation from the nominee's Program Director. Nominations for the Innovation & Impact in Education Award must include information detailing results of the project and potential implementation options. 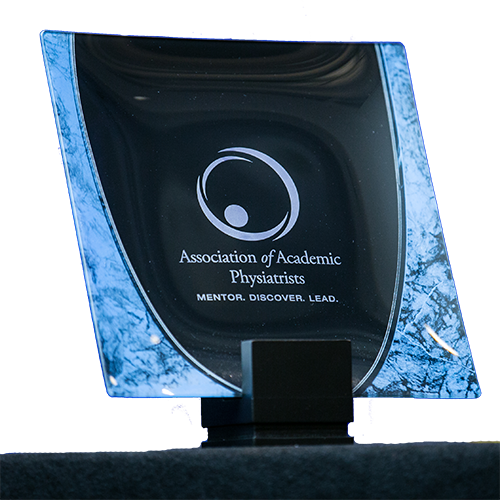 2020 Award Nominations close June 7, 2019. Submit using the form below!